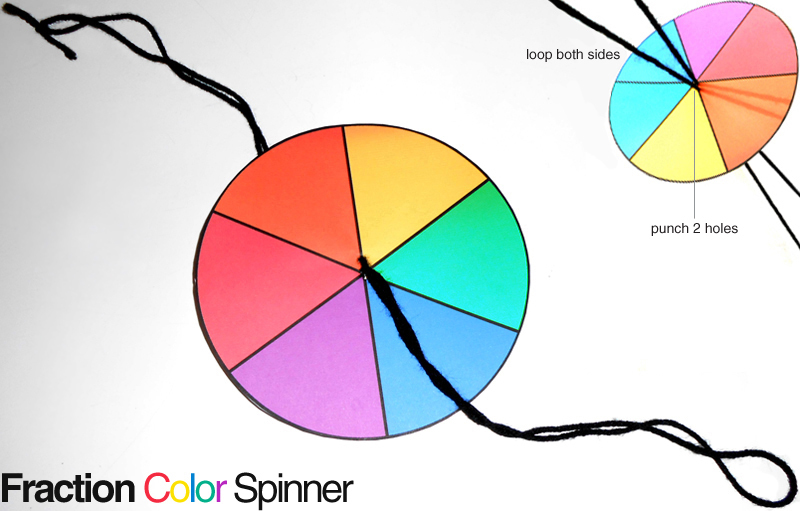 Integrate math, art, and science by creating a colorful spinning toy! Kids trace a circle (at least 6 inch diameter) on poster board (or cardstock) and divide it into six equal parts. Then, they color it in, using any colors they'd like! Once it's colored, an adult punches two holes in the center of the circle. Kids measure out a 3 foot piece of string or yarn and lace it through their circle. Move the circle towards the center of the yarn (keep the one side of the string in a loop - don't pull the string all the way through). Next, tie a knot on the other side so it has a loop. Then, twist the string up by flipping the circle round and round. Pull the string outward and let it unravel. Watch it spin and the colors mix!